It’s all about the human heart. Talking to Dove Cameron, it’s easy to tell how caring she is. She seems to be a person who feels things deeply and cares about each person she encounters. She thinks about the world and her place in it, but is also cognizant about experiencing all life has to offer. She is thoughtful and intelligent as well as beautiful inside and out. 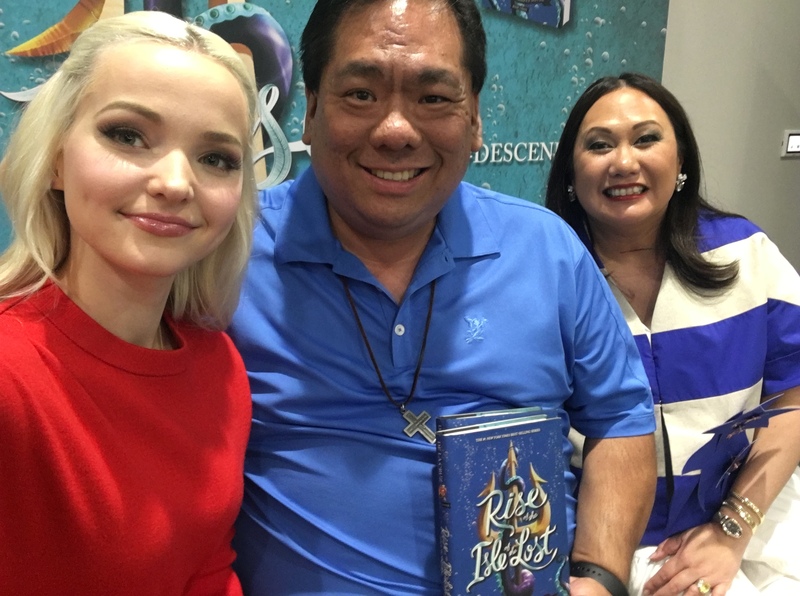 The star of Disney’s hit series Liv and Maddie which just concluded it’s final season is also the star in the Descendants franchise as Mal, the daughter of Maleficent. 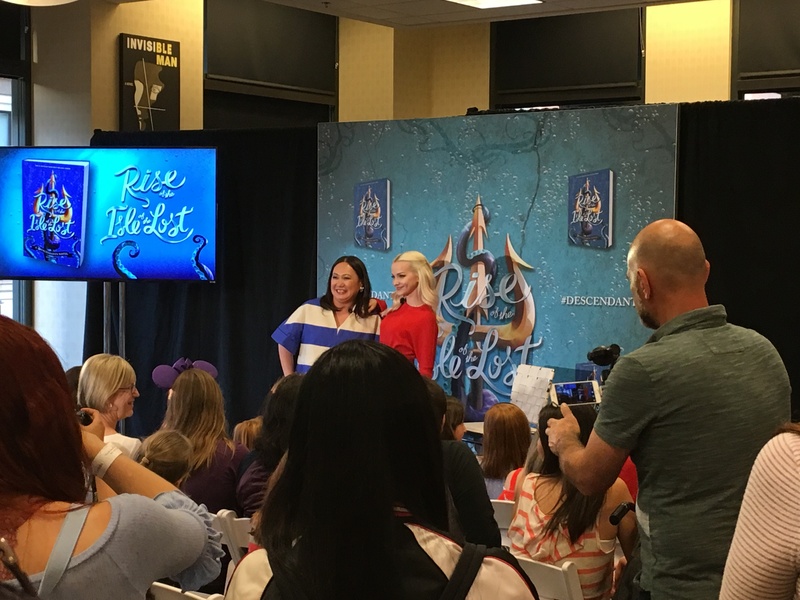 With Melissa de la Cruz’ new book just released, Rise of the Isle of the Lost, Dove was in town to do a reading with Melissa from the novel and was kind enough to sit down with me and answer some questions about her career, Mal, and her future. Dove, I have to tell you I loved your performance in Liv and Maddie. I was totally sad it’s ended. And it’s such a heart-wrenching last episode. They really turned it out. It was so good. But was it the right time for the show to end for your career? As un-industry as this sounds, I really don’t live and die by the “smart” or “unintelligent” thing to do in my career. I think that’s like saying “What’s your favorite fashion trend?” For me, I don’t care about trends, I care about my own personal sense of style. I’m the same with my career. I don’t care what’s intelligent to do or what’s a cunning move or what would be the great thing to do right now. I just want to do what I’m passionate about, what makes me happy. I want to spend time with people that I love. 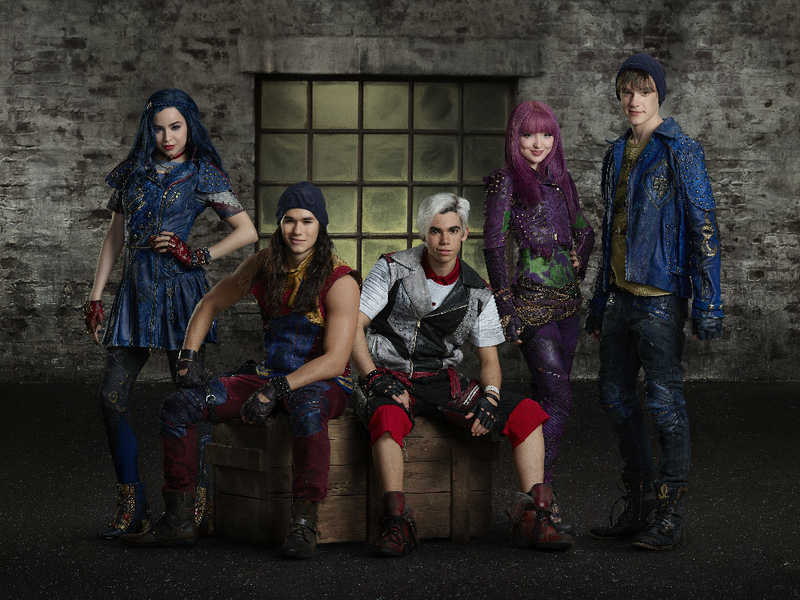 So, the fact that it went on for as long as it did – which Disney channel shows don’t always make it to their fourth season and four is kind of where they all cap – I think we all felt incredibly blessed that it went on that long. And I would do more of it honestly because I love those humans. It was a world, it was a family, and the fact the family dynamic was so real and translated to real life was such a blessing and it isn’t always necessarily that way. It’s like a life thing. Is it the right time to have a break up or to have someone die? It’s just what happened and new things begin. I love the show. I love the show so much and I think it ended when it was supposed to. It’s crazy how talented you are. Both as an actor AND a singer. You’ve done a lot already. What’s next for you? It could be a lot of different things and I’m kind of doing all of it until they sort of clash and they don’t work, you know what I mean? I’m doing as much of it as I can until one day someone’s like, “Cut! Stop! You can’t do all of it.” But lately I’ve been finding myself after Hairspray and Mamma Mia coming later in 2017 that I can’t really embellish on at this point, but there’s been a lot of musical theater. My life has been taking me on a musical theater journey so I’ve been kind of letting it, but I also have my album coming out later and stuff that I’m working on with my music right now. I plan on continuing to do film. I think I’ll definitely take a break from television because it keeps you in one place for so long and I want to be fast-paced right now, but I’m planning on doing it all until somebody stops me. If you had a chance would you want to do a Broadway musical? Is there a role you would like to play one day? Oh, yeah. My dream role is Clara from The Light in the Piazza. It’s a lesser known musical but it’s so BRILLIANTLY written and heart-wrenching and gorgeous and I just don’t think enough people have seen it or been exposed to it but it’s my favorite role personally and I relate to her so hard and everybody should look it up. It’s an Adam Guettel musical and it’s just stunning. But I would love to do something like Lucy in Jekyll and Hyde. Love that one. Love the classics as well. I’ve seen that one. I used to see a lot of musical theater and all of a sudden my daughter started getting into it. It’s become a thing again. Thank God. We need it! But I would also love to do Elle in Legally Blonde. In terms of one that everybody knows that’s my dream. It’s such a fun role to do. Thank you. And I love Jerry Mitchell, the choreographer. He did Hairspray so that would be a big dream of mine. With your own experience with bullying, is it tough sometimes to play Mal? How does that work into your perception of who Mal is? I always pictured Mal like a street dog. It’s like a dog, like a puppy, like a human. When we’re born we’re all untouched, pure, unedited. With a street dog, it’s still a dog and if it had a different upbringing…that’s Mal. She’s a bit rough around the edges. She’s a biter. But it’s because of the sort of brutality and the lack of empathy and the lack of support and love she had in her childhood and I think that’s what makes a bully. And it’s what I think we need to teach in schools too. We’re so focused on anti-bullying and how to get your bully in trouble or whatever – and I’m not saying we should start shifting our attention to supporting bullies – but I do think (we need) more understanding in terms of how the human psyche works. Because if you think about the happiest person in your life and think about them causing other people pain, it’s impossible because they’re happy. And so then if you turn that logic and think about the people who are bullying it’s literally a “therefore.” They are dealing with some stuff we don’t know. We aren’t privy to everything they go through. So I think the bullies are victims as well. I really think we need to instill communication and listening skills and empathy in kids. I think preaching about anti-bullying is the wrong approach. It’s more about protecting human hearts and protecting people in a real way. It helps me because I think Mal is just complex. She’s misunderstood like everybody. What a blessing to have Dove take a selfie of us all together! You both grew up spending time outside of the US. How has your international experience informed your lives and your career? I think heavily. My parents always told me my biggest education was in travel and when my dad passed he actually left money that was to only be used in travel. Because he thought travel and seeing the world is the best education because it is. It’s an education in humans, in empathy, in seeing how things work. Once you’re exposed to it you can’t go back. And I just think when your consciousness is expanded to how things work all over the world in different cultures and everything like that you inevitably become more empathetic, more in touch with humanity. And so I think as an actor it’s been indispensable for me to travel and to see human hearts. The Disney Nerds review of Melissa’s Rise of the Isle of the Lost is here!